Try to win every babyfoot games, against your friends or against the computer. When you are bored at home, we are always here for a little babyfoot game! Call a friend and the party can begin. 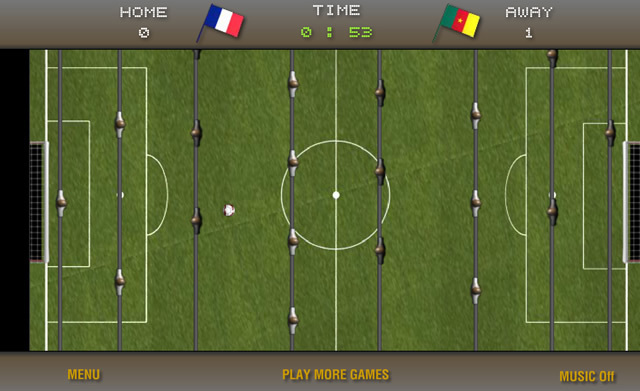 In this virtual babyfoot game, you'll be able to face another player on the same keyboard or the computer. 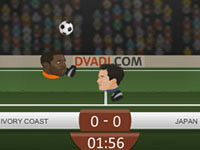 Send the ball into the goal of your opponent to score points, and do not let him score goals! Use Up and Down for player 1 and W and S for player 2.